Bonkers for Conkers in Kensington Gardens! We’ve been enjoying some beautiful autumn days in London! The temperatures are still mild, with that hint of autumn in the air that signals the change of seasons. When the sun has been shining there are just masses of people out enjoying the beautiful Kensington Gardens. We love taking an evening stroll through the gardens and looking at the colours changing. 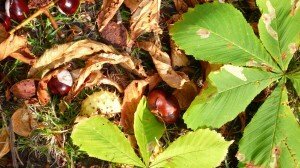 Recently we noticed the horse chestnuts, called conkers here, had started to fall from the trees. There’s an old children’s game called “conkers” that is played by stringing up the mahogany coloured seed inside the conker and swinging it at an opponent’s seed to see which one breaks first. Even if you’re not up to a roaring game of conkers, it’s hard to resist the warm color and autumn significance of the horse chestnut seeds while out taking a walk. Hunting for conkers in Kensington Gardens! 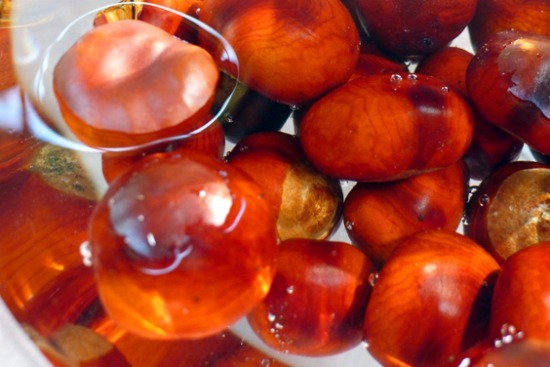 Recently I collected a bag of conkers so we could enjoy their beautiful color this autumn. 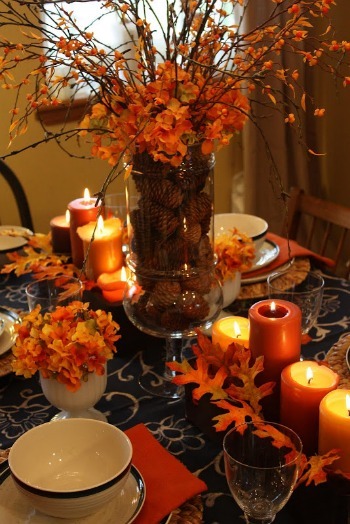 We were inspired to put them to good use around the house by a gorgeous autumn table setting created by Michelle from Sweet Something Designs where she used pine cones in a large glass vase as a table centrepiece surrounded by autumn leaves and candles. When we first saw it online we had the idea to replace the pine cones with chestnuts, which have such a rich mahogany color. Instead of a tall vase, we used a low and circular glass vase we often use for floating candles. We added the conkers to the bottom of the vase, filled with water and floated a few candles on the top. 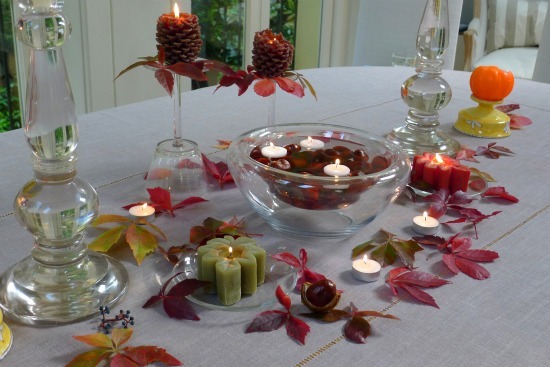 Surrounded by autumn leaves and candles, there’s so much you could do with a centrepiece like this. Love that rich and warm hue of the conkers! 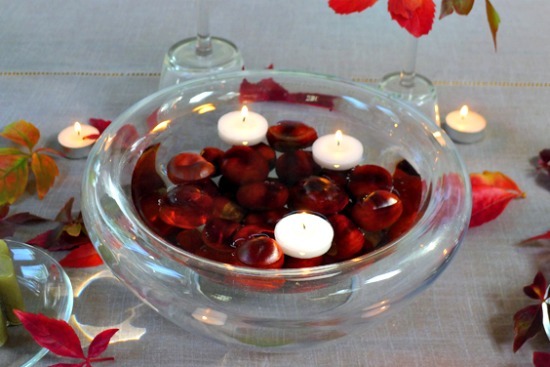 I couldn’t resist playing with the autumn leaves and candles to create a table centrepiece that would be perfect for Thanksgiving or any dinner this autumn. Enjoy a walk outdoors and find beautifully colored leaves, or invest in some velvet or fabric leaves that you can use time and time again. 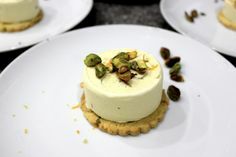 Then just let the creativity take over … and have fun! I decided to add an element of height to the table display with tall candles instead of a large centrepiece, which can have people leaning back and forth to talk during dinner. 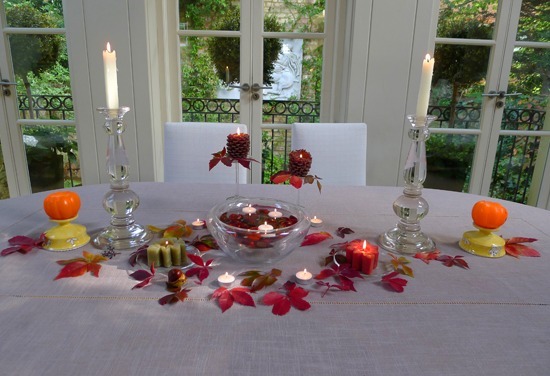 The chestnuts and red, yellow and orange leaves from Kensington Gardens were the perfect touch to create a special autumn table setting in London. We hope you are savouring the little joys of autumn, the change of seasons and the beauty of nature wherever this finds you. 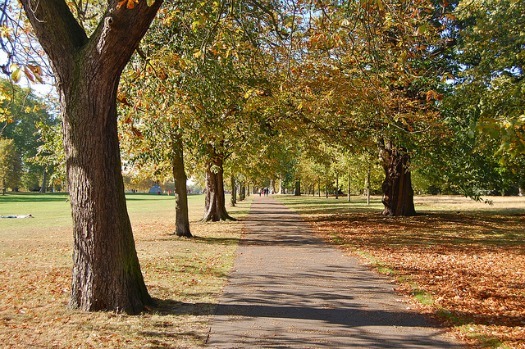 If you’re in London or planning a trip soon, enjoy an autumn walk through Kensington Gardens and Hyde Park during your stay. 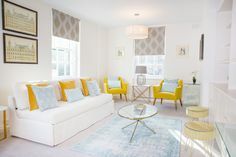 You might just find some conkers, too! NEXT: Happy Birthday to P.G. Wodehouse! 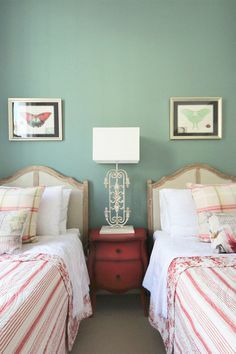 Posted on Wednesday, October 10th, 2012 at 2:14 pm in Home Decor. You can follow any responses to this entry through the RSS 2.0 feed. You can leave a response, or trackback from your own site.